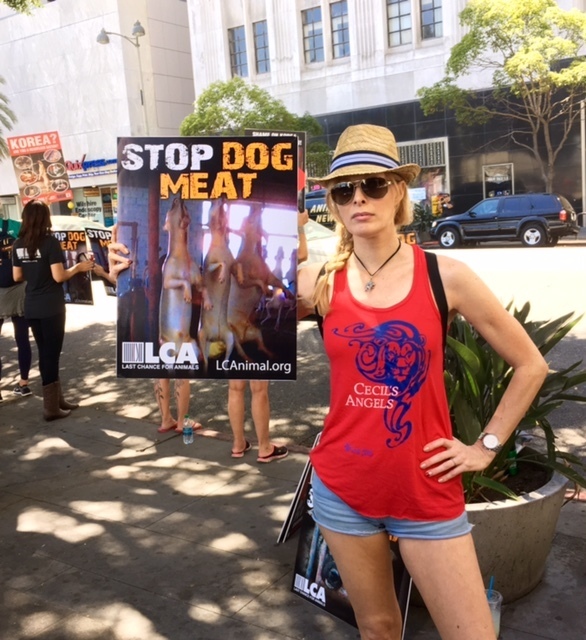 The barbaric dog meat trade in Asia claims the lives of over 2 million dogs (and thousands of cats) every year. Marc produced this PSA to bring attention to this heinous practice which involves severe torture of the dogs before brutal slaughter. He's joined by millions around the world who want to stop this nightmarish violence once for all. The dogs Marc rescued are in great need of medical attention and supplies until they're well enough to be adopted into loving homes all over the world. 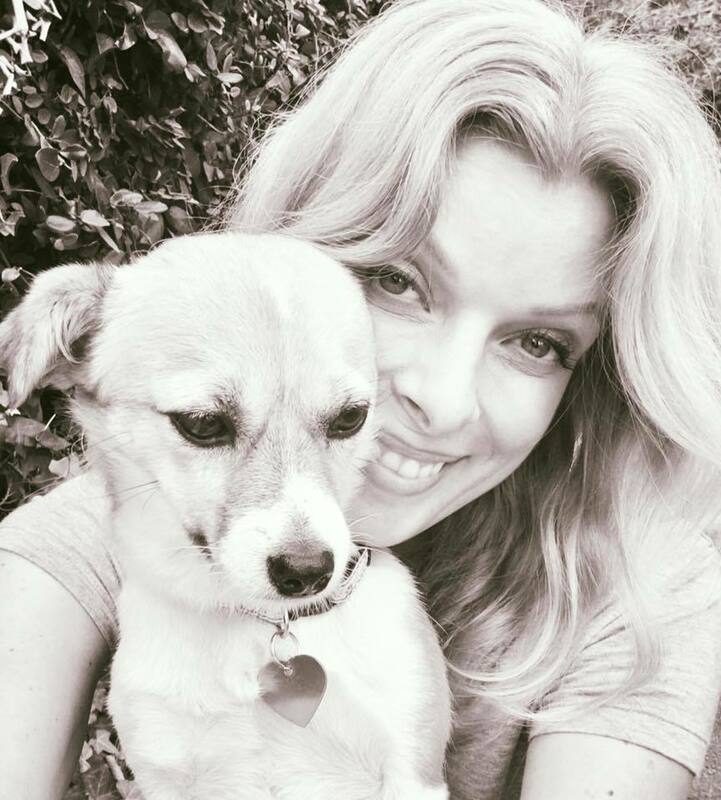 Please help these Yulin survivors that have suffered so much. 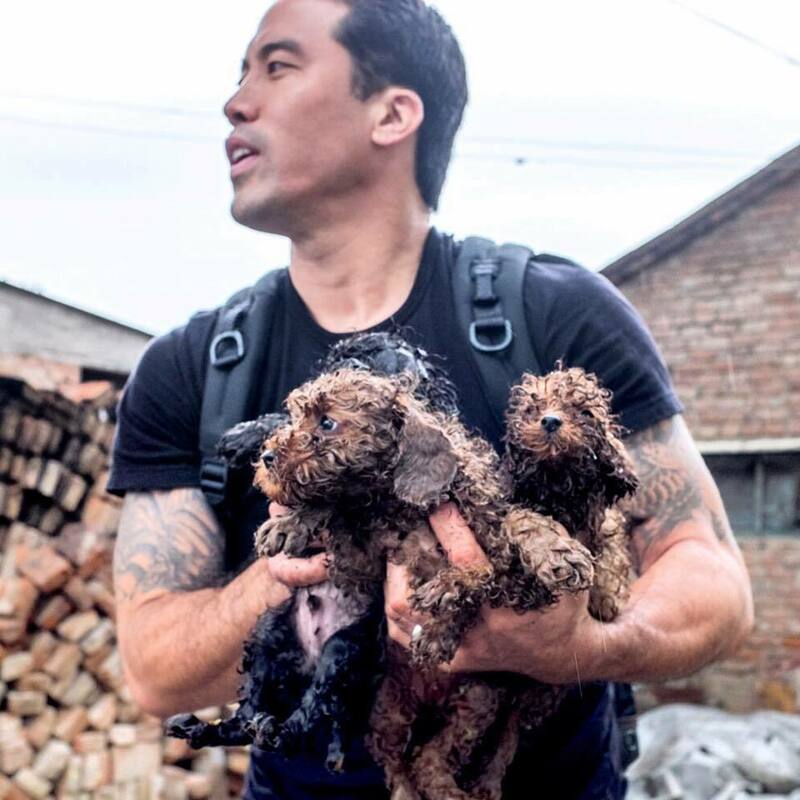 Marc in action rescuing filthy and emaciated puppies from terrifying slaughter house. I was able to meet Marc when he returned from his harrowing trip and interview him for my column on Cecil's Pride which is attached below. The dog he's holding is a slaughter house survivor and there are currently 13 more up for adoption at his Animal hope and wellness center in Sherman Oaks, California. 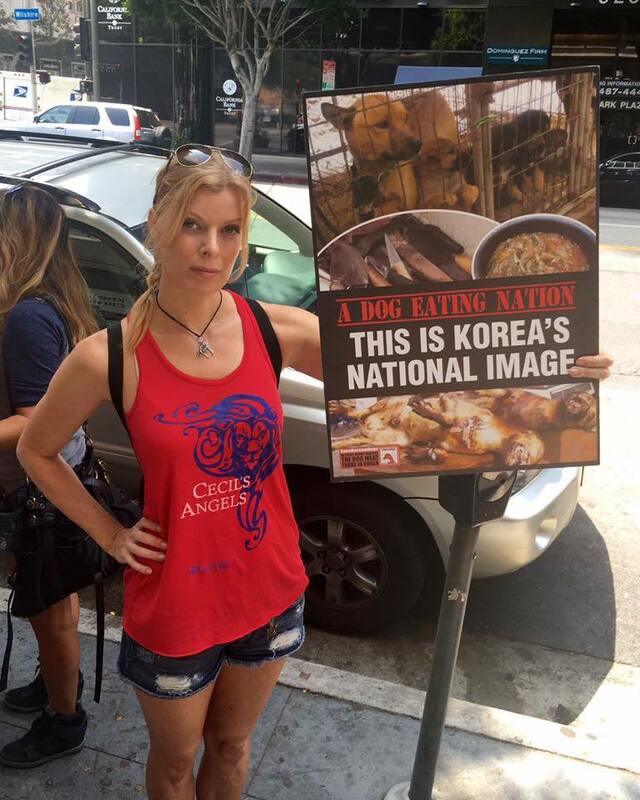 We are part of the ongoing protests at the Korean Consulate in Los Angeles. 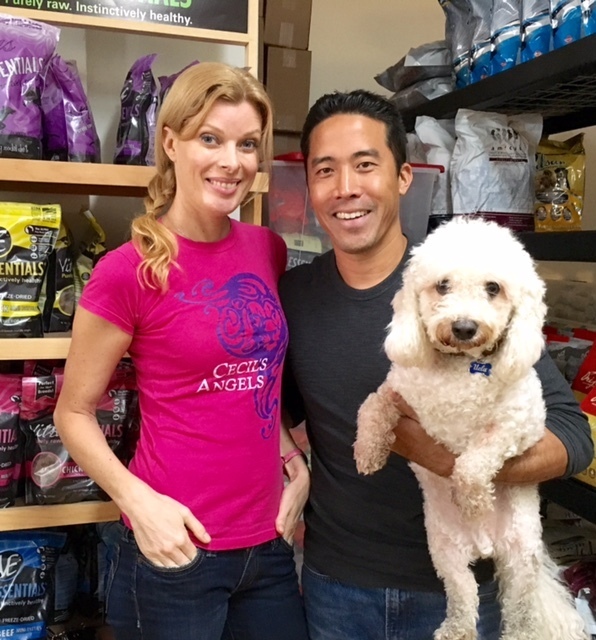 My co-Angel Renee just adopted a pup rescued by Nami Kim in South Korea from a dog meat farm! 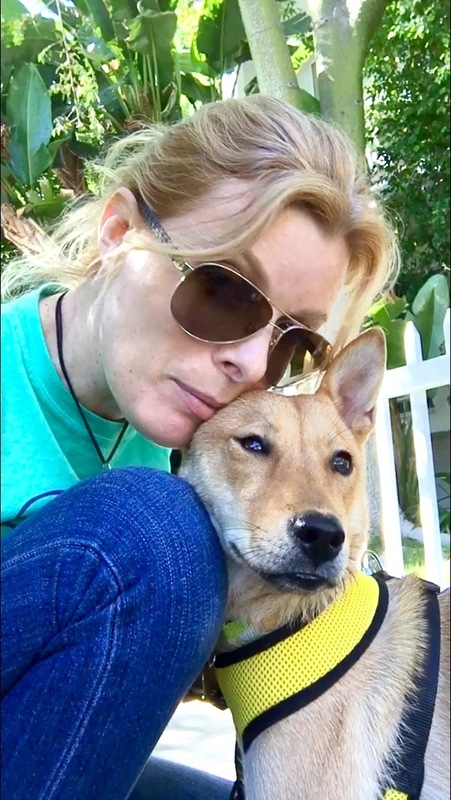 I fell in love with this little Yulin survivor Gobi and adopted her 7 weeks ago. She's the definition of happiness and sunshine and we are so blessed and honored to have her.